Marvel Comics today announced that it will send issues of Invincible Iron Man featuring Riri Williams back to press for a third printing. The announcement follows Marvel’s reveal earlier this week that Williams, whose first appearance was in Invincible Iron Man #7, will replace Tony Stark as Iron Man following the events of Civil War II. Marvel says the announcement has increased demand for previous issues in which the character appears. 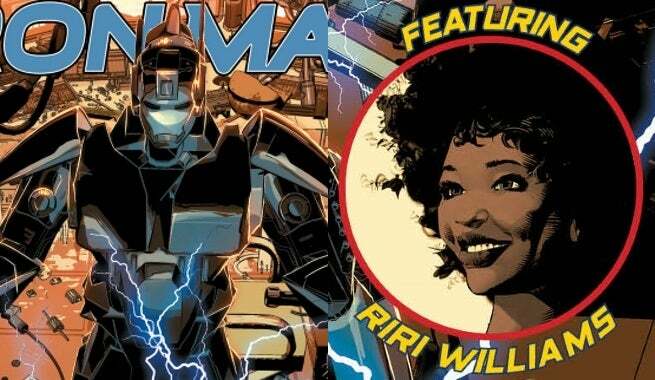 The third printings of Invincible Iron Man #7-11 each features a “Featuring Riri Williams” callout burst on the cover, letting fans know where the new Iron Man can be found. You can check out the covers in the gallery below. Williams will star in a relaunched Invincible Iron Man from writer Brian Michael Bendis (Riri’s creator) and artist Stefano Caselli. The series will launch this fall as part of Marvel NOW!